Looks can be deceiving. Adega S. Nicolau, a restaurant in the Ribeira area of Oporto, has no celebrity chef or design furniture. But it serves amazing food: grilled fish, fried sardines, roasted codfish, fried octopus, and much more. The star of the menu is the “posta de vitela arouquesa” a steak of veal from Arouca seared to perfection, the best we have ever had. 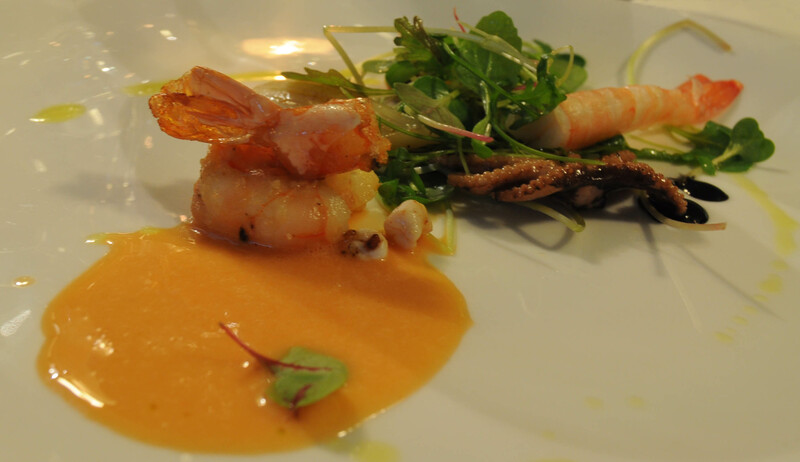 Everything on the menu follows traditional recipes, but the food is hard to imitate. It takes enormous confidence to trust the quality of the ingredients and let them shine through simple preparations. It is this confidence that Adega S. Nicolau has been building since 1930. Adega S. Nicolau, R. São Nicolau, 1, Ribeira, Oporto. Tel. 222-008-232. 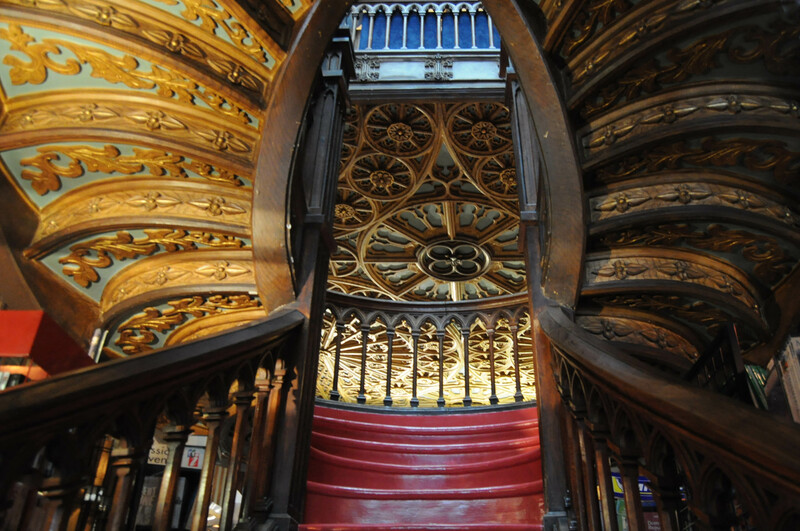 Lello, a bookstore in Oporto founded in 1906, is famous for its exuberant neogothic architecture. In the early 1990s an English teacher called Joanne Rowling spent many hours here, in the small coffee shop on the second floor, working on a book about wizards. The book’s hero, a boy called Harry Potter, goes to Hogwarths, a school of witchcraft and wizardry whose revolving staircase and gothic motifs are likely to have been inspired by Lello’s interior. If you visit Oporto, don’t miss the chance to visit Lello. And, if you do, please buy a book. In a world where bookstores are becoming extinct, we need to preserve places where we can still find magic. Lello bookstore, Rua das Carmelitas 144, Porto. You need to study before eating at Pedro Lemos’ wonderful restaurant in Oporto. You have to learn the taste of roasted suckling pig, the smell of codfish and chickpeas, the texture of veal from Miranda, the saltiness of sardines, the sweetness of rocha pears. 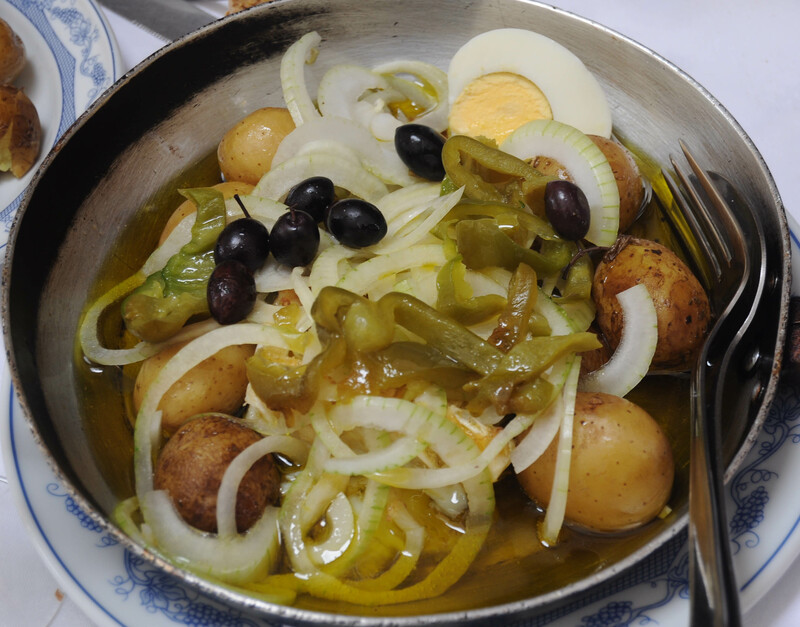 Only then will you understand that Lemos is reinventing these traditional Portuguese flavors with imagination and soul.